This company supply CNC machine tools and sheet metal machinery such as pressbrakes and milling machines. We were asked by their current design and marketing company, Barker & Co., to collaborate on the development of their new website. We worked closely with Barker & Co. to ensure that the site met all the clients requirements within the timeframe. 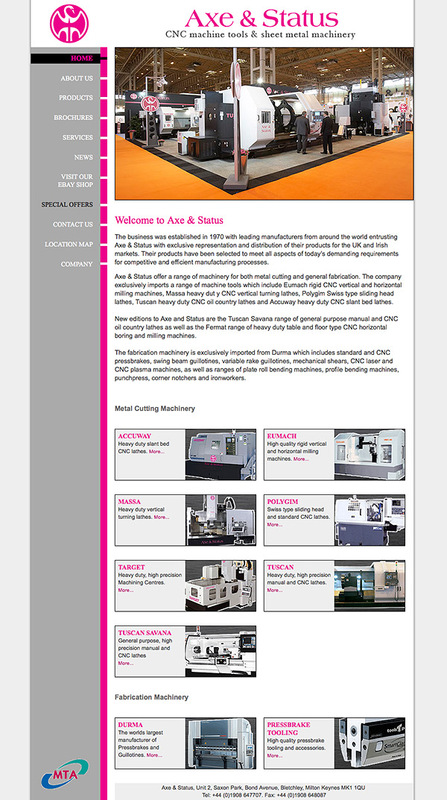 Barker & Co. supplied the initial design brief from which we developed the site.